When is a pest not a pest? 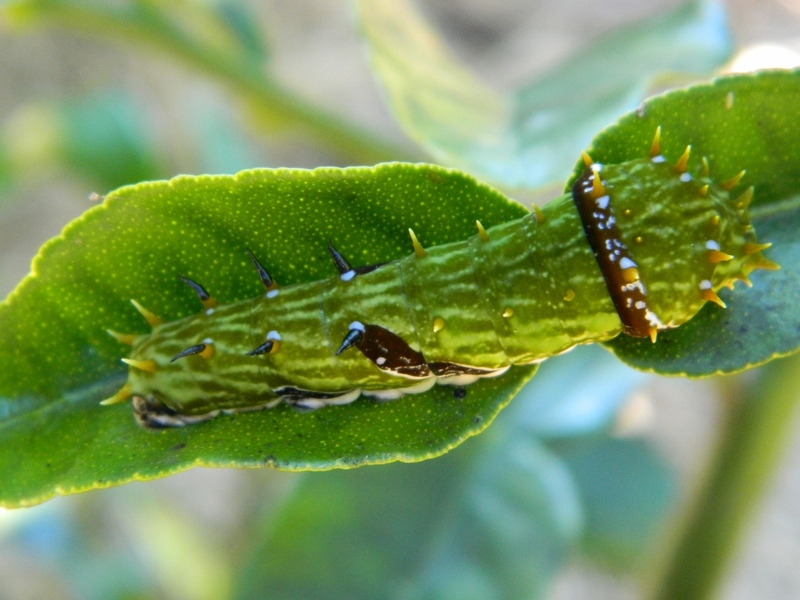 Well, when it’s as weird and colourful as a citrus caterpillar. I found this one sunning itself on my Kaffir Lime tree. 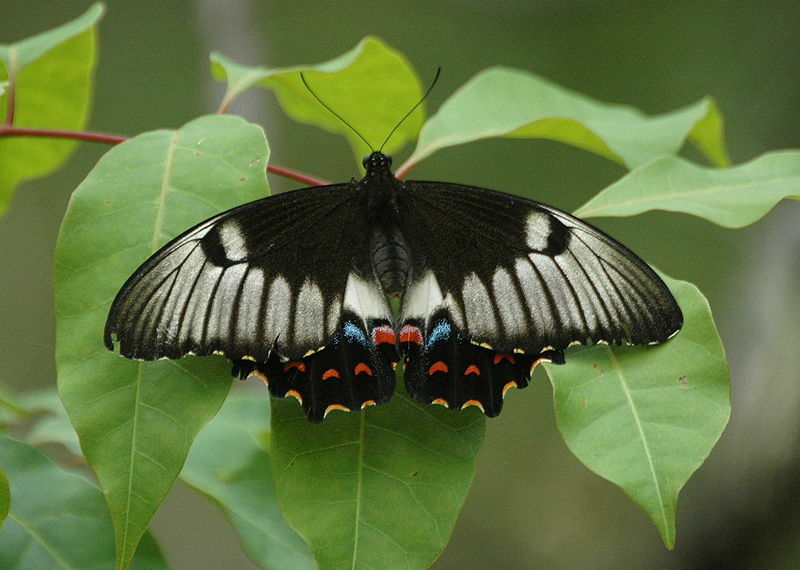 Apparently it grows into one of our largest and most beautiful garden butterflies, the Orchard Swallowtail. 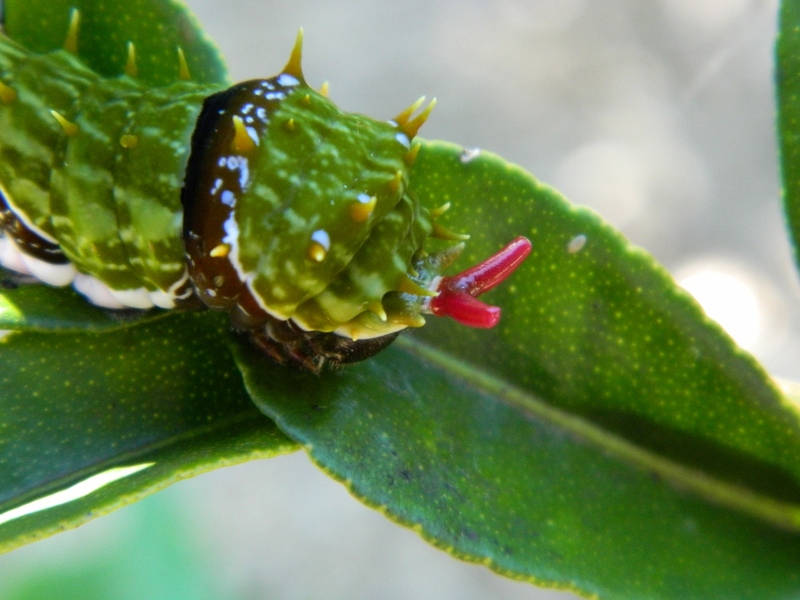 When threatened it rears up and pops out a defensive organ called an osmeterium which exudes a strong citrus smell. This one obviously didn’t feel too threatened by my poking, as it didn’t extend it the whole way. Next I’ve given up veggies !